I could be a broken record (does everyone still remember records?) 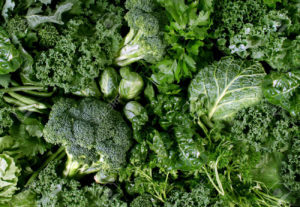 when it comes to recommending a cancer diet rich in a vast variety of green and colorful vegetables. They provide so much vital and healing nutrients and often contain actual cancer-fighting, immune-boosting and anti-inflammatory polyphenols. They are probably the most cost-effective cancer preventing or fighting strategy. If certain research bears out, we may actually have official plant-based cancer-fighting pills. Per the newsletter, Cancer Defeated, The Medical College of Georgia is doing research to explore the effects of combining various plant nutrients into an actual cancer-fighting, non-toxic pill. Currently, they are testing luteolin, quercetin, and kaempferol which are found in various fruits and veggies. They chose them because individually, each of these plant nutrients have been found to have potent anti-cancer effects when you include them in your diet. It is too early to have final results, but according to this newsletter, these tests are showing promise. And it is interesting to note, that the synergy of combining them is important. They are more powerful when taken together. That is why eating a wide array of vegetables and certain fruits is always recommended. And in their whole food form, we get the benefit of all the nutrients present that we have yet to identify or categorize. Researchers at the Dr. Rath Research Institute are doing a similar investigation. They are exploring the effects of a nutraceutical that combines 400 mg of quercetin; 400 mg of an extract from cabbage, cauliflower, broccoli and carrots; 300 mg of a turmeric root extract containing 95% curcuminoids; 50 mg of resveratrol; and 300 mg of a standardized green tea extract (80% polyphenols). So far, they have found that in animals, this combination can slow the growth of squamous cell carcinoma by about 67%, and reduce tumor burden (amount of cancer cells in the body) by more than 60 percent. Encouraged, they are exploring other combinations as well. I believe non-toxic plant extract pills will become part of accepted cancer care. The caveat, however, that concerns me is that to get such a pill approved, it will take Big Pharma buy-in, which means our relatively inexpensive plant-based source of healing nutrients will probably become very expensive as the pharmaceutical industry finds a way to patent them (possibly by making synthetic version – not a good thing). While we wait to see what indeed does unfold, let me go back to my broken record. EAT a wide variety of green and colorful vegetables along with a limited selection of bright and colorful fruits. Make those veggies at least 80% of your diet. This is a foundation for whatever treatment you choose on your healing journey. Want help? 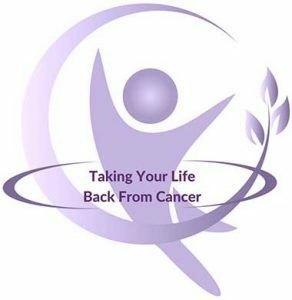 Check out my 4-part live but virtual “Taking Your Power Back from Cancer class that starts anew every month.